In this day and age people no longer have time for a lengthy shave. While it is tempting to give yourself a long and luxurious shave, it isn’t practical on a daily basis. It takes too long to lather up, wait for the foam to soften the stubble and then carefully shave it off. 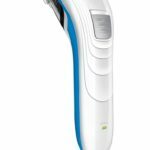 A quick shave, a close shave and a safe shave seem mutually exclusive unless you invest in a good Wet and Dry Electric Shaver. 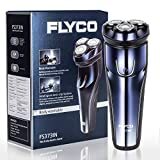 ✔ 3D FLOATING HEAD - 360 degrees close to the skin tightly, fits the curve of face and neck perfectly, gives you a reliable close shave every time. With the design of double-track cutter, the contact surface is increased, so save greatly your time and energy when shaving. ✔ WATERPROOF & WET/DRY SHAVE - You can enjoy shaving in shower with gel or foam to gain better shaving effect and experience. Detachable and washable head makes you easy to clean it directly under faucet. 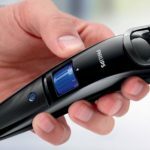 ✔ MUTE HIGH SPEED MOTOR - You could enjoy every moment of shaving quietly because of the low noise of this shaver for men. 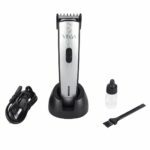 ✔ POP-UP TRIMMER - Skin-friendly pop-up beard trimmer to shave sideburns, beard shapes, moustache and any facial hairstyle easily. 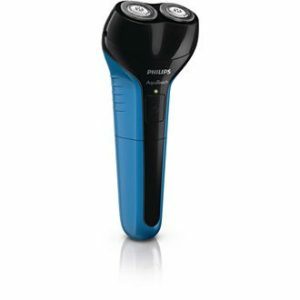 One touch open electric razor for men convenient to use. 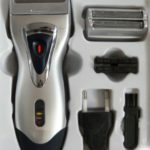 While you may be struggling to make a choice, we have compiled list of our Top 5 recommended men’s Wet and Dry Electric Shavers in India to help you make a well informed decision. 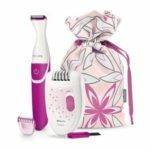 This shaver is equipped with MicroComb technology that directs hair into the shaver, for a quicker shave minus the pesky shave rash. Foil pattern scientifically engineered for a close shave and minimal skin irritation and razor burn. Three floating cutting sections adapt to facial contours for a clean shave in one stroke even in problematic areas like the jaw line or chin with irregular hair growth. Precision trimmer for sides and moustache. 100% washable and appropriate for wet or dry shaves. 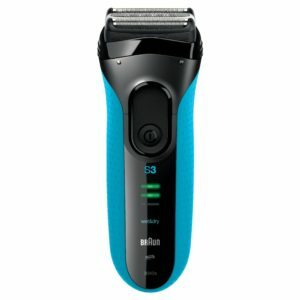 45 minute battery life when charged for 60 minutes or a 5 minute charge for one quick shave. Ergonomic grip for secure handling when wet or soapy. 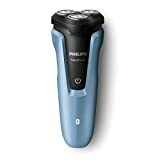 Philips is a popular brand well known for reliable gadgets and this shaver is no exception. Three Close Cut circular rotating blades provide a close shave despite stubborn and coarse stubble. 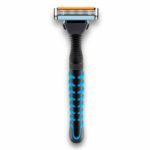 Durable product with replaceable shaving heads that last up to two years. Pop up trimmer for precision. 10 hour charge for 30 minutes of cordless battery use. Ergonomic rubber grip for precision and safety to prevent slipping in wet conditions. 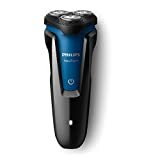 This shaver comes with Dynamic Flex technology for close shaves along the contours of the face. 5-8 hours of charge yield 45 minutes of battery life. Double circular rotating knife design blades with micro beads increase the shaving area and provide a smooth and gentle shave for medium to tough stubble. 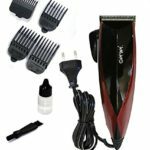 The shaving head is waterproof, detachable and can be held under running water for easy cleaning. 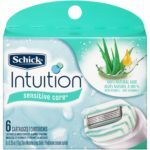 Anti-slip grip for precision and safety when used for wet shaves. 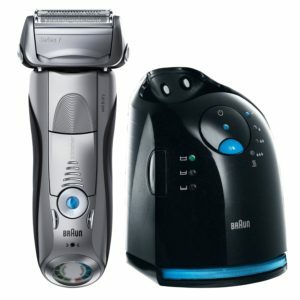 This Braun shaver is equipped with Sonic Technology to provide the closest shaves. Three modes of operation- sensitive, regular and intensive. Gives you the freedom to choose a gentle way for sensitive areas or a more intensive mode for rough areas. Active Lift technology removes flat lying hair in the neck area. OptiFoil for a close shave. Flexible shaving head adjusts to the contours of the face. One of a kind Clean and Charge System cleans the shaver in an alcohol based cleaning solution which leaves behind a fresh lemon scent and recharges the battery simultaneously. Also 100% washable with regular tap water. One hour charge yields 50 minutes of cordless battery use. 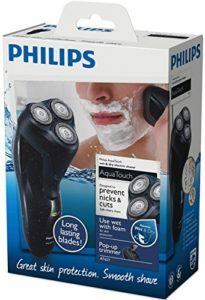 This Philips shaver is 100% waterproof and ideal for wet or dry shaving. Two rotating CloseCut blades with rounded edges result in a close shave even on coarse beards. 10 hours of charge yield 30 minutes of cordless battery use. Pop open shaver head for easy cleaning. 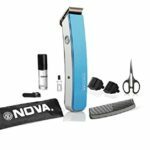 Two year warranty and replaceable blades that last for two years. Ergonomic rubber grip to prevent slipping. 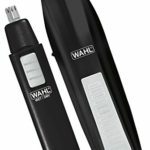 Wide Pop up trimmer for precision when trimming sideburns or moustache. 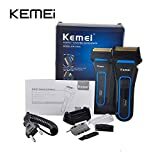 With these reliable brands and affordable prices, you should have no trouble finding the wet and dry electric shaver that suits you. So go ahead and buy it today!